Source: Audiobook from Macmillan Audio - thank you! It’s a place like hundreds of others, nothing special, really. But for four friends—all born and raised in this small Wisconsin town—it is home. And now they are men, coming into their own, or struggling to do so. One of them never left, still working the family farm that has been tilled for generations. But others felt the need to move on, with varying degrees of success. One trades commodities, another took to the rodeo circuit, and one of them even hit it big as a rock star. And then there’s Beth, a woman who has meant something special in each of their lives. Now all four are brought together for a wedding. Little Wing seems even smaller than before. While lifelong bonds are still strong, there are stresses—between the friends, between husbands and wives. There will be heartbreak, but there will also be hope, healing, even heroism as these memorable people learn the true meaning of adult friendship and love. I had the opportunity (thanks to goodreads and Macmillan Audio) to listen to the audiobook of this exquisite novel. There's a richness that seeps from this story and has the potential to resonate deep in one's soul. I found myself being transfixed to smalltown life in the Midwest, filled with the lives of four friends, as they regain their footing during a time of discovery and growth. A personal connection was found in this novel, as I understood the significance of how hard it can be to remain friends with people you've known your whole lives. They are the ones who know you best, and you feel as though they'll be your best friends for eternity. But what happens when life gets rough, paths take us down unexpected routes, and we have to decide on whether to keep clinging to this fragile strand or learn to let go of it, piece by piece. This novel touches upon all of those elements and much more. Told through alternating voices, Shotgun Lovesongs digs deep inside the literal meaning of what happens to life once the fog of innocence has slipped away. Henry is married, with kids, managing the family farm. On the outside his life appears to be simple, hardworking, and fulfilled. Lee followed his dreams to becoming a musician, only to loose himself along the way. Ronny is daring in his own mind, but settled by a soft heart that can be felt by pretty much anyone who has the privilege of knowing him. Kip is the rational one, the guy who just never quite got it, but longs to discover his own content. Their stories intertwine and eventually culminate back in Little Wing, Wisconsin. But it's the type of ending that doesn't have a definite answer. Life's finale is not always played out with a simple resolution. There will be heartache, misfortune, and uncertainty. But there is also beauty, self perseverance, and forgiveness that shines through in the most unexpected ways. Shotgun Lovesongs is a story that carries itself to the sounds of crinkling leaves, quiet winter mornings, and a soft whisper in a warm summer breeze. The relationship between these characters and the small town they inhabit will leave an impression upon the reader that longs to be remembered. 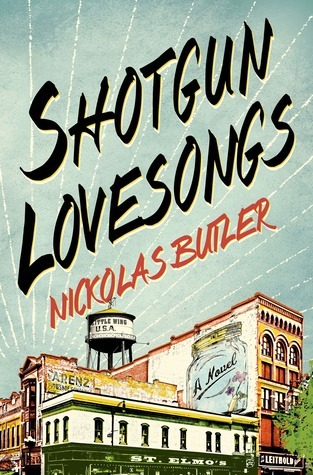 Interesting Note: The author, Nickolas Butler, went to high school with Bon Iver's front-man Justin Vernon. 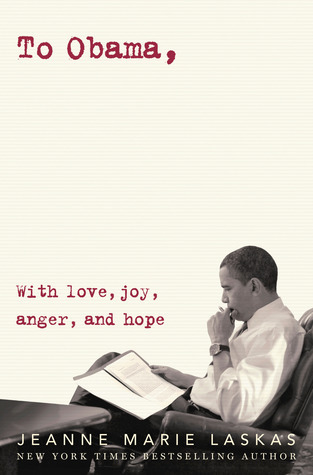 Butler's representation has been cited as stating that one of the characters in his novel (Lee) was inspired by Justin Vernon, but the story still remains a work of fiction. Knowing this tidbit before I read the novel, I held on to it in the back of my mind, and could hear the music of Bon Iver as a beautiful soundtrack to a beautiful novel. Have a listen below, to one of my favorite Bon Iver tunes: Holocene. The Bon Iver connection is so cool -- I loooooooove him! Sounds like a cool book, great review! I seriously think that SHOTGUN LOVESONGS sounds pretty interesting! I'm always intrigued by books about friendships, so that's a major reason for me to pick this one up at some point. Beautifully written review, Ginger!